Refugees and migrants arbitrarily held in Sabaa detention centre in Tripoli, Libya are suffering from alarming rates of acute malnutrition, while some were recently locked in a small room with only 0.7 m2 of space per person, says international medical organisation Médecins Sans Frontières/Doctors Without Borders (MSF). 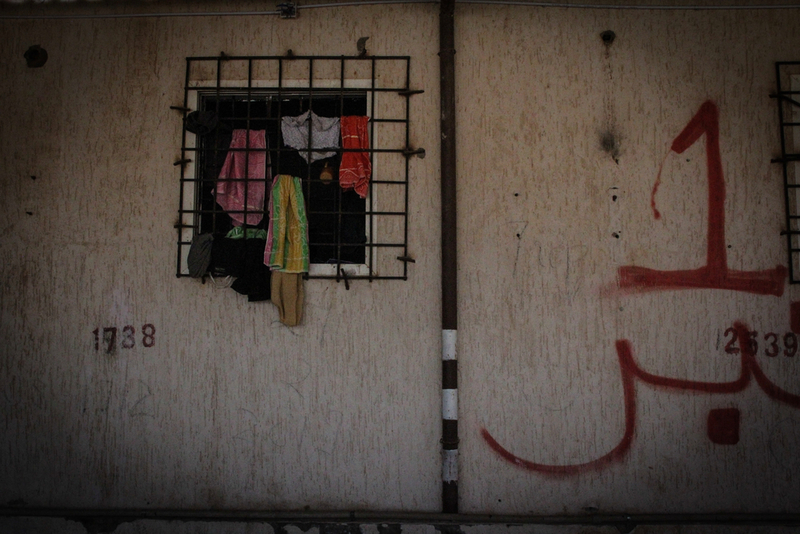 There are currently over 300 detainees in Sabaa, including more than 100 children under 18 years old. MSF calls on Libyan authorities and the international community to urgently address the inhumane and dangerous conditions in Libyan detention centres. On 21 February, MSF began providing emergency food rations in Sabaa to address the serious food shortages and improve the health of the population. On the same day, an MSF medical team discovered 31 people locked up in a small room measuring just 4.5 metres by 5 metres, allowing only 0.7 m2 of space per person. There was no space to lie down, the room had no latrines and people were forced to urinate in buckets and plastic bottles. Despite repeated calls by MSF that they be relocated to a more appropriate space, people continued to be detained in this room for more than a week. Detention centre in Khoms, Libya. Image from September 2018. 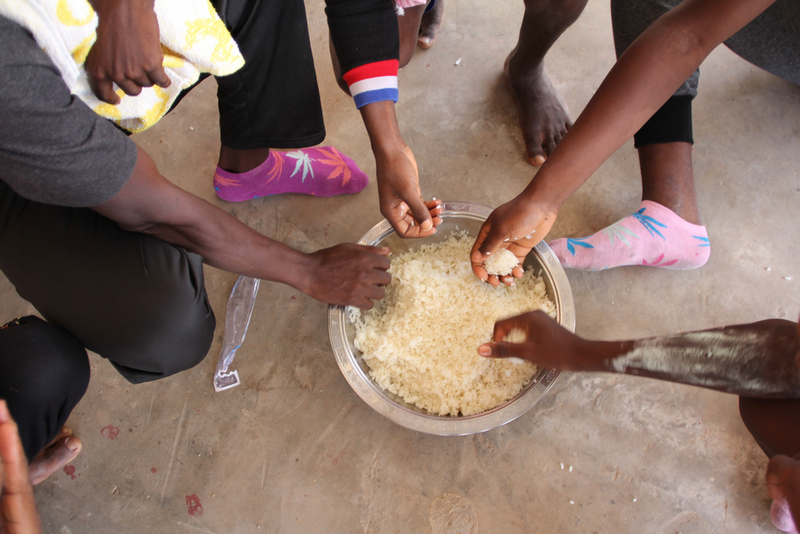 MSF’s most recent nutrition assessment, conducted in February, shows that nearly one in four people in Sabaa exhibit signs linked to the inconsistent provision and poor quality of food. Two percent suffer from severe acute malnutrition, 5% suffer from moderate acute malnutrition, and a further 16% are underweight. Children under 18, who account for more than one-third of the total population, are 50% more likely to be severely malnourished and three times more likely to be moderately malnourished than adults.